Recently, one of our Facebook followers who has posted comments and likes on our page contacted me through Facebook messenger. It started out with just general questions. We found out that he was the keyboard man for a world famous rock and roll band that is playing small concerts from time to time. After some conversations back and forth he wound up buying a grand piano from us. He said he was thrilled with the value and was happy because he felt like he was supporting someone he had known for a long time. Now we service the piano for him and our follow through with the things that we have promised him over the Facebook posts he had become familiar with. I’m sure you can understand what I mean by earning trust. Never second guess the need for Social Media to your small business and especially with regards to your music business. Be ready to take advantage of new technology and realize that the “old fashioned way” is not necessarily the best way to promote your business. I would be more than happy to discuss or help you develop a strategy to brand your business regardless of you position. If you are a musician, teacher, salesman or some other part of the music business, the same ideas work and you can become proficient enough to take the next step in a very easy and concise way. Over 40 years in the music business has helped me understand how to adapt and continue in business. If you keep your customers as the center and always know how to understand their needs you are on the right track. Thank you, Tim for your contribution. Coming soon we will read a great article by another friend of mine that has gained much success in the music business and an explanation of what Music has meant in his life. 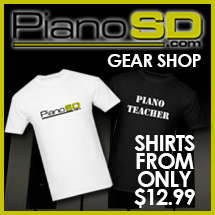 Tim Paul, the President of Piano Trends Music and Band, shares some successes of his business in this two part article. Although Tim wrote this article in one edition, I am breaking it into two shorter posts because the value of the information requires it. I hope you enjoy. Most importantly, I hope there is some information here that will help you with your business and marketing. Every aspect of the music business requires a close eye on staying relevant and up-to-date. You have to know your customer and what their needs are. 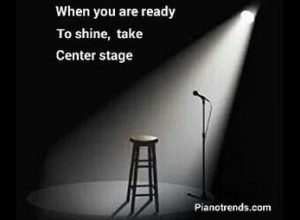 It doesn’t matter if you are in the musical instrument side, teaching or have a tuning business, relevance is the key. You may even have a full line music store that has a multi use service business and studios like Piano Trends Music and Band. Many years ago newspaper advertising was the only way to realize any kind of growth for your venture. Then, as now, word of mouth was really still the key. When happy customers are talking about you nothing is better. Today customers are using Social Media to discuss good experiences or perhaps bad. When your customers are talking to each other, very simply put, you need to be right in the middle of their conversation. Where possible, pictures and videos so people begin to get comfortable with you and recognize you. It doesn’t really matter if your customers find you on Facebook, Twitter, Instagram or any of the other venues. You need to be there. It literally only takes a few minutes a day to post and keep people aware of your presence. The music business is the only business in the world that will constantly change and events that are interesting to others. Hard selling and pushy salesmen have to realize that Social Media is not the place. Have a good time. In time you will see peoples confidence in you and your opinion and you will see an increase in your business because people feel comfortable with you. It only takes a moment to realize why this is so important when you see the parents of those kids come in and buy that first clarinet or saxophone for school band. Your plan should be to see little Steve or little Carol become a musician and not revel in another sale. Social media allows us the chance to explain how much we care and how dedicated we are to our customers. The beautiful thing about Social Media is that it takes very little money out of pocket to actually communicate with your customers . It takes effort but it costs you none to little money out of pocket to be engaged with your customers. Up until now it took the use of flyers, and a lot of effort making phone calls, touch base on a personal basis and a lot of personal time and effort. Now you can make friends that you never had before. The great thing about this level of communication means that you actually get to know your customers better, understand their needs more and can detect trends quicker. One fringe benefit is your repeat business will grow as a result of people getting to know you better. They will begin to treat you like one of the family and you will be their confidant in the music business. When you are reaching out through Social Media it is important to stay consistent with your message and frequently posting the same pictures. This is an excellent way to brand yourself AND you business. Repetition becomes the key. 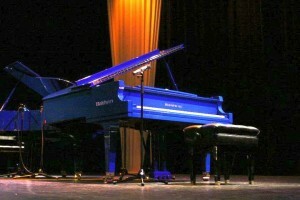 For example our blue piano is our constant message of who we are and helps get attention all over the area. Sign up for the latest news, events, product information and sales alerts!